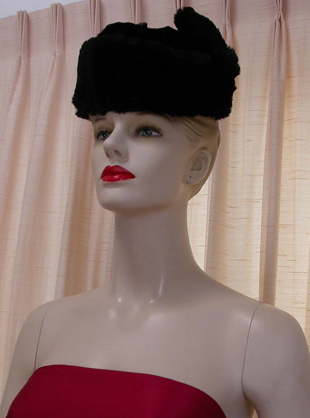 VINTAGE FASHION JEWELRY AND ACCESSORIES! 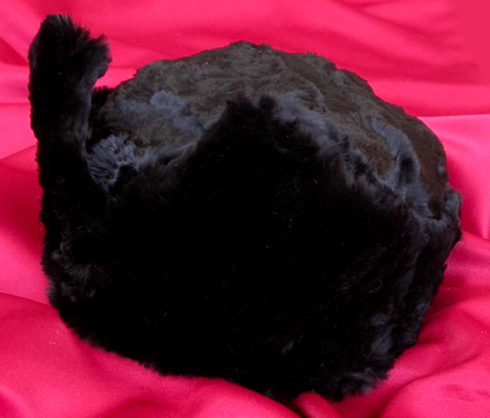 Antique Jet Black Ermine Hat For Weddings, Proms, Pageants And Parties! 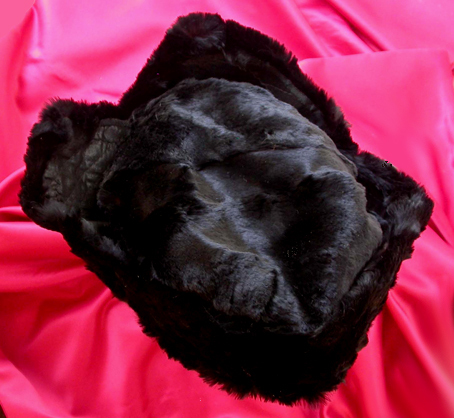 Item #F168002 - Antique Jet Black Ermine Hat. Retailer: Best & Co. was a clothing retailer based in Greenwich, Connecticut. It re-established the name of the New York City-based Best & Co. clothing chain that operated from 1879 to 1971. The first incarnation of Best & Co. was founded in 1879 in New York City by Albert Best as the Liliputian Bazaar. It initially focused on babies and children outfitting, but later expanded to women's clothing and accessories. It was known for its tastefully styled and proper women's clothes and its sturdy children's wear. 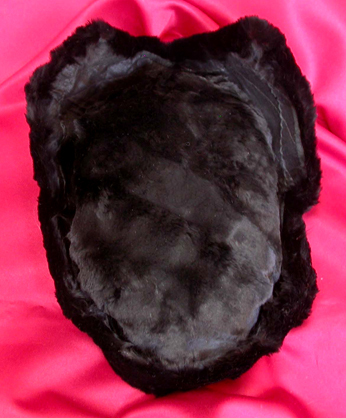 Because of my love for animals, I usually do not list any fur items. However, this timeless classy antique ermine hat belongs to a friend in Hawaii who wants it to go to someone who can enjoy it. It is too warm for the Hawaii weather. 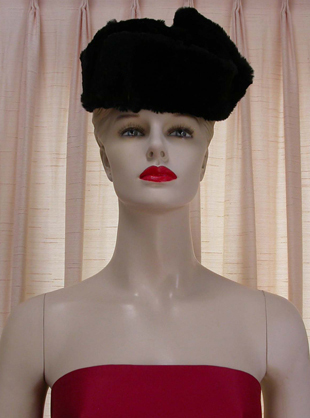 The vintage ermine hat is about 60 years old and is from New York. It is fully lined with a label that says 'Best & Co. Paris-New York Established 1878'. 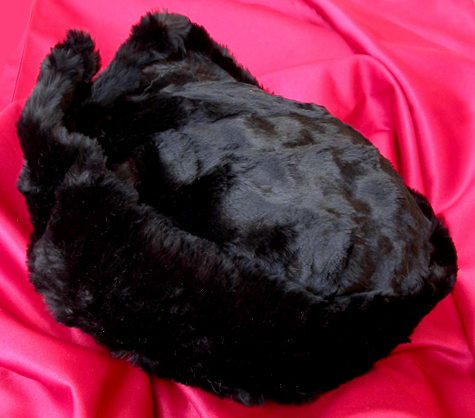 The jet black fur is rich and lush. 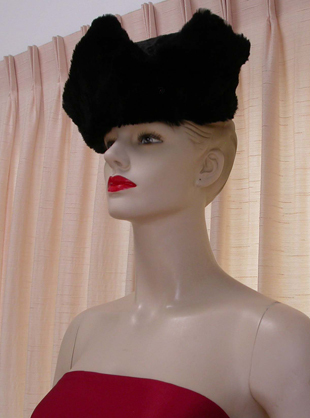 A stylish vintage hat to make a fashion statement. In excellent vintage condition. Since I'm selling this item for a friend, I'm sorry that I can't entertain a refund once the payment is given to my friend. Therefore, if you return the item, you must please let me know as soon as you receive it. The item received three days or more is considered sold. Please see my return policy. 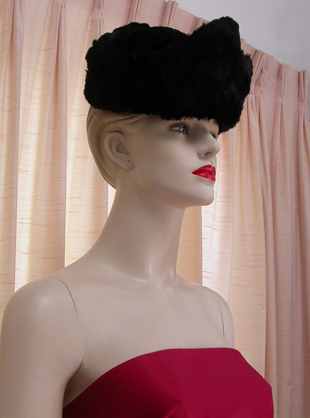 A fabulous vintage ermine hat to wear at weddings, prom nights, pageants, parties, cruises and special functions! US$198.00. Overseas customers, US$30.00 for International Express Mail so that the item can be insured and tracked.